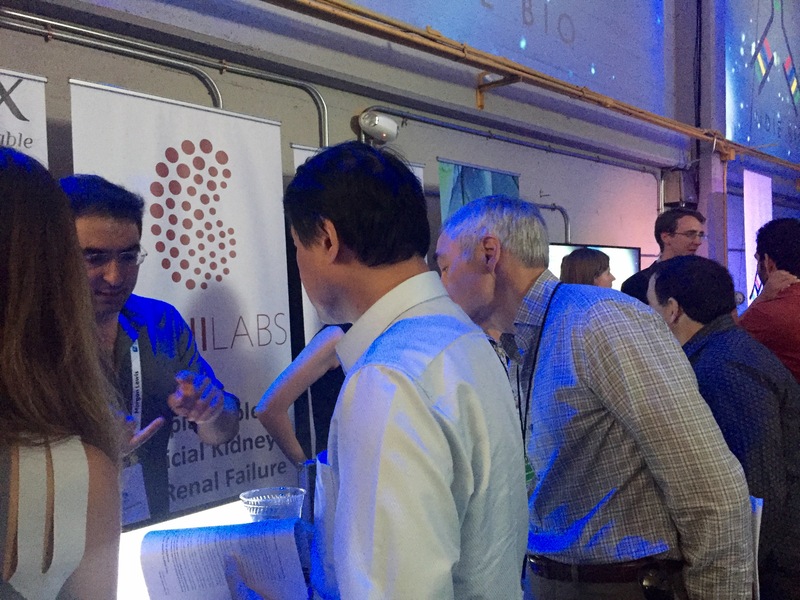 It was a packed room at the Folsom Street Foundry in downtown San Francisco this afternoon as people poured in to check out the latest innovations from Indibio’s third demo day. 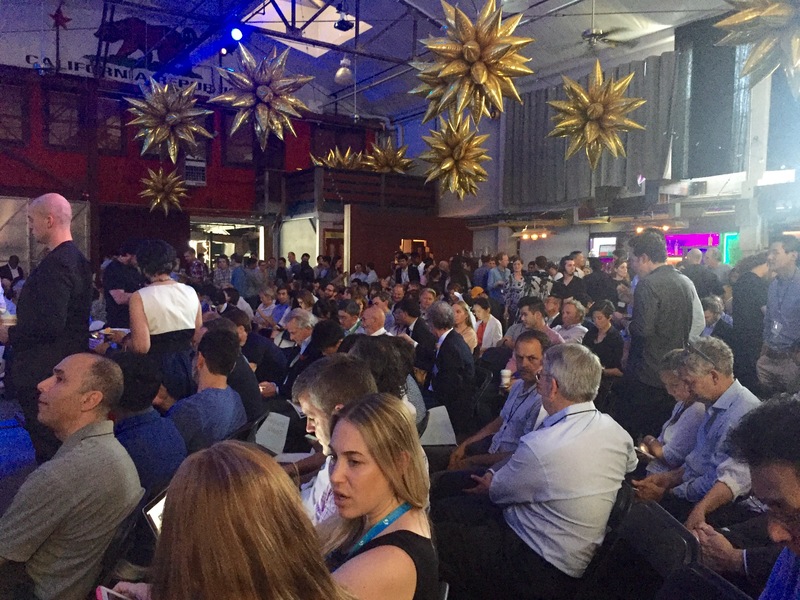 The accelerator’s demo day has grown so big we’re now live streaming it on TechCrunch. 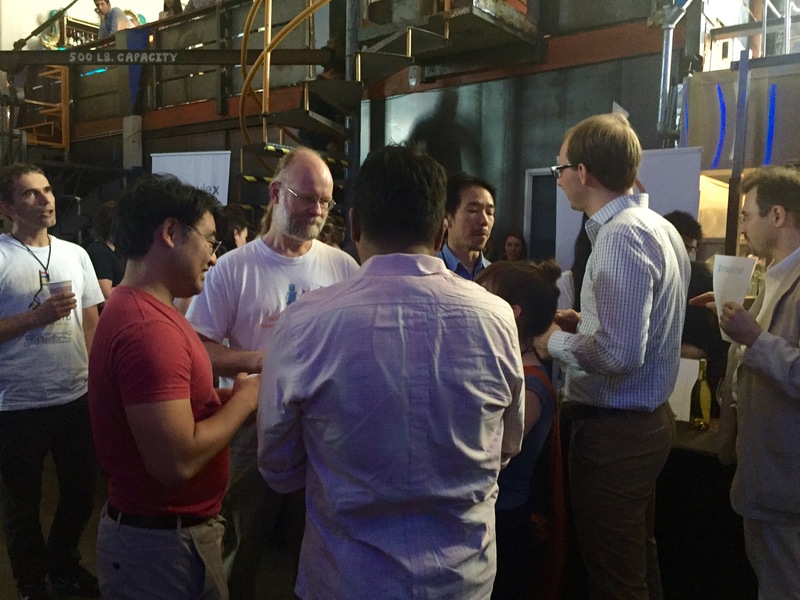 But it was just a couple years ago that the only pure biotech accelerator launched out of SOS Ventures. Many accelerators and venture firms have started to take a keen interest in the space since then, but Indiebio is still the one many look to in the industry for weird and interesting ideas like 3D printed animal parts and bioreactors to make better beer. The third event was no exception, with startups presenting more wild ideas on stage including mushroom leather clothing, a Zika-detecting tool the size of a stick of gum and human breast milk made in a lab. Mycoworks– Mycoworks uses mushrooms to create natural alternatives to leather. Their materials are performance engineered, animal-free, sustainable, and cost-competitive, and the company says it has three partnerships in footwear and fashion. During demo day, they unveiled their cow-sized “mycoleather,” growing the equivalent of an entire cowhide within three weeks. SyntheX Labs– SyntheX uses something called “synthetic lethality” to treat presently incurable cancers. The startup claims its platform can test more than 10 billion protein variants in one petri dish to create new therapeutics. SynthX says it is chatting with multiple pharmaceutical companies and has promising data, including a new, evolved cancer-killing mechanism they’re hoping to publish in the next few months. Ava Labs– Ava promises to clone high-end wines without using grapes. It does this by analyzing molecular profiles of select wines and reconstructing them as a bioidentical match to more expensive wines, like an $11,000 1973 Chateau Montelena Chardonnay. Ava sold out in their pre-sale cloned wines, already raised $2.5M dollars and plan to start shipping wines to their first customers within six months. Knox Medical Diagnostics– Knox wants to prevent asthma attacks in kids before they start. It has created what it says is a hospital-level asthma management tool that can give predictive insights at home. They conducted an 80 patient study in asthma patients so far and have started a 500 patient study with UCSF, which they plan to roll out with their product, post-FDA approval, by Spring of 2017. AstRoNA Biotechnologies– Food poisoning is a serious global concern today with over 1 in 6 people getting food poisoning every year. AstRoNA came up with a handheld detector for possibly contaminated foods that can be deployed on-site at every phase of food production. They say you can use the tool “from field to table,” giving labs accurate results within one hour. AstroNA has also established pilot programs with four food companies. It hopes to raise 1.7 million for an initial roll-out large scale sales by the end of the year. BioNascent– BioNascent is making what they say is a bioidentical breast milk formula for babies who aren’t breastfed. It does this by making proteins found in human breast milk they hope can provide an alternative to dairy-based infant formulas. They say they already have a vendor relationship to roll out their first product, focused on the lab research market followed by a plan for approval within three years by the FDA. Amaryllis Nucleics– Amaryllis wants to help researchers by accelerating RNA discoveries. Amaryllis says it can halve the time and reduce the cost of RNA sequencing by 8-fold to accelerate cancer diagnostics, pharmaceutical development, and food security. Amaryllis says it has closed over $250k in sales so far and aims to sell internationally by next year. MiraculeX– MiraculeX wants to grow the next generation of healthy and tasty protein sweeteners by boosting plants producing these sweeteners. The team behind the startup says its natural proteins have zero calories, no bitter flavor, and taste better than sugar. MiraculeX plans to roll out its first protein sweetener by the end of this year and hopes to release more protein-based sweeteners by next year. OneSkin Technologies– OneSkin has developed what it says is real human skin in the lab. OneSkin says it can replicate skin by ethnicity and age to develop a line of personalized skin care products. The startup also claims to have established its first customer relationship with a large cosmetics company and it aims to roll out personalized skin care with its own line of anti-aging cosmetics within a year. Willow Cup– Willow Cup is creating a line of plant-based milk products, starting with latte foam. The startup hopes to disrupt the plant-based milk industry using a patented plant protein library. It also says it has formed relationships and sales with 10 distributors within San Francisco so far and is looking to push into the nationwide market. Endura Bio– California is still in a drought and water is precious in the Golden State. Endura is creating an agricultural spray to activate drought tolerance in crops to reduce water use by 33 percent and is currently conducting field trials in California to test the technology. 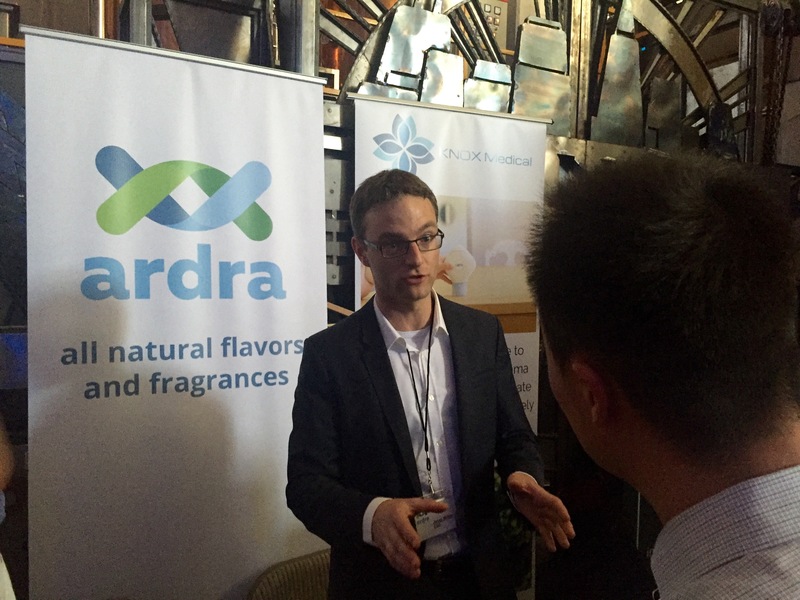 Ardra– Natural flavors and fragrances is the fastest growing category in a market worth over $23 billion globally. Ardra claims its enzyme technology enables them to make flavors at a lower cost and higher margin than any other natural alternative. Ardra says it was able to get to commercial yield numbers in their first product within their first four months, slashing years off of the product development cycle. mFluidX– Zika is a scary disease linked to microencephaly in infants with mother’s who contract it while pregnant. Brazil is a company highly infested with the disease right as the world is headed there this August for the Summer Olympic Games. mFluidX has created a diagnostic chip the size of a pack of gum to replace bulky laboratory instrumentation for DNA / RNA analysis and claims it can detect Zika in the field. mFluidX says its power-free disposable chip costs 1000-times less than current technology and can be rapidly deployed to diagnose infectious diseases anywhere. Its first partnership is with the virologist who identified Zika in Brazil. Jungla– Jungla claims to be the world’s best predictor for variants of unknown significance in the genome, starting with cancers by combining machine learning with proprietary protein function maps. The startup says it has a partnership in the works with a well-known sequencing company, one of the leading genomic diagnostics companies and one of the largest heart hospitals in the U.S.
Qidni Labs– Qidni is an implantable artificial kidney. The startup just completed its first successful pre-clinical trial in a pig and plans to finish pre-clinical trials next year and get it to market within the next five years.